I finished this bag off a few days ago and, on the whole, I’m fairly pleased with it. It’s nice and sturdy, I actually like the way it looks, and I’ll definitely use it. I learnt how to work with slightly thicker fabrics, improved my topstitching a little, learnt how to make straps, and a few other bag basics. It’s a party zebra! Right?! 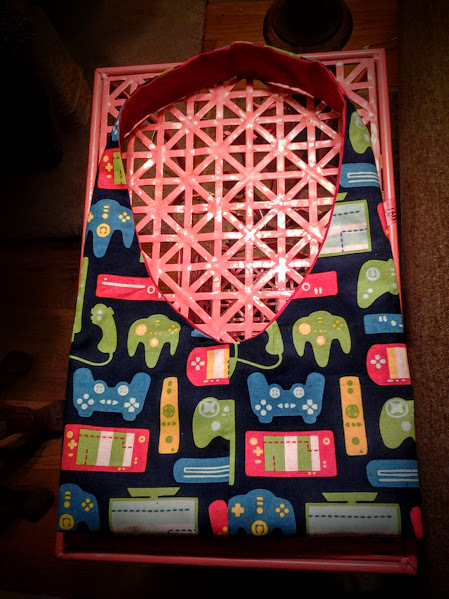 Sweet videogame bag ready for action!